In mid December, I was fortunate enough to go with Classic Collection Holidays on their Madeira Christmas Lights educational , where we were to visit both resort style and Quinta style properties. After a (very rare!) smooth landing at Funchal with EasyJet we were taken to the Hotel Porto Mare for our four night stay . The Porto Mare is a lovely 4* property situated in an ideal location about a 20 minutes’ walk from Funchal old town. The hotel is set in beautiful gardens overlooking the sea with a lovely pool area. There are plenty of facilities for all age groups including a Spa. My room was spacious and extremely comfortable. The Cliff Bay which is located very near to the Porto Mare and is one of the islands well known 5* Hotels. 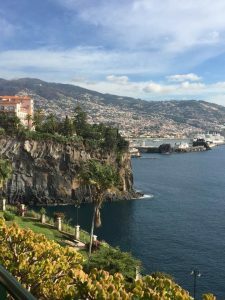 Again, it is set in gorgeous grounds and some of the rooms have amazing views towards the port of Funchal, the hotel boasts two Michelin stars. The rooms are stylish, more modern than I expected but very nice. This hotel gets a huge amount of repeat guests. 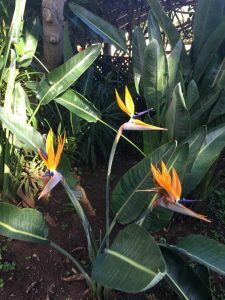 Savoy Saccharum – I loved this hotel despite it being a good 30 minutes’ drive out of Funchal. It is very contemporary and was built on the site of an old sugar cane mill. The hotel has an amazing spa area and the rooms are very minimal. Great for couples and families. Hotel Madeira is only a 3* but is located right in the heart of Funchal city. With only 52 rooms it is a smaller property and has a small roof top pool. It is fantastic for anyone who wants to be in right in the city and wants to explore the gardens and town. Pestana Grand. Fantastic grounds and beautiful hotel, it’s ideal for families and couples. It is a little further out but there are still restaurants and shops close by. The rooms are modern and the hotel has several restaurants. Belmond Reid’s Palace – my favourite! The Reid’s is world famous and is very grand and elegant. The building has that old charm but the amenities and furnishings are very current. The gardens and pool area are beautiful and the atmosphere is very relaxed and not at all ‘stuffy’ which I thought it might be. A great hotel for all. Their Afternoon Tea is lovely. Quintas – restored manor houses. Quinta Casa Branca. This hotel is in a quiet residential area of Funchal but still very close to shops and restaurants. The manor house has beautiful suites and a very traditional dining room. The garden rooms are in one wing and are all ground floor. They are modern and comfortable. The premium rooms are in another modern wing and again are very modern and minimal in design. The gardens are exceptional with beautiful plants and trees, the atmosphere is very calming. Quinta Sao Jao. This Quinta dates back to the 18th century, it is homely and has a lovely relaxed atmosphere. The rooms are traditional and the grounds are full of traditional plants and trees. Casa Velheiro do Palheiro. This manor house is in the country side and has magnificent gardens that are open to the public, as well as a golf course. Rooms are located in the main building and two wings. They are beautifully decorated, in keeping with the property. There is a spa offering many treatments, tennis courts & swimming pool and other activities can be arranged. Jardins do Lago. Another beautifully restored manor house set in beautiful gardens. The rooms are situated in the original building or the new wing but all are furnished to a very high standard. 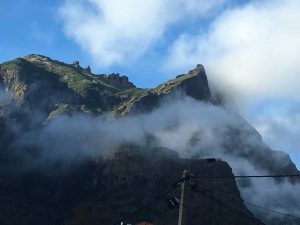 Visit Madeira’s wine Lodges. A brilliant tour around the Wine Lodge with a guide explaining how the Madeiran wine is processed, with tasting and a chance to buy. Tour to Nun’s Valley. A 45 minute drive into the Nun’s valley, the scenery is amazing & dramatic. Cable car from Funchal to Monte. You can then return down the 2 kms route on one of the wicker toboggans – great fun! Funchal has lots of restaurants, bars and great shopping. Before my visit to the island I was always under the impression that is was for an older clientele and as much as I think Quintas probably are, the hotels offer facilities for a great holiday for all. Error: Error validating access token: Session has expired on Monday, 01-Apr-19 06:23:33 PDT. The current time is Thursday, 25-Apr-19 23:39:11 PDT.